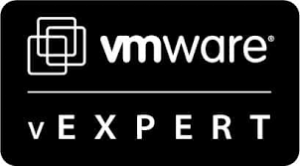 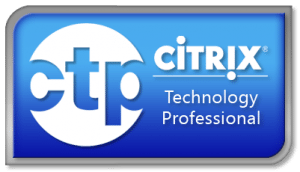 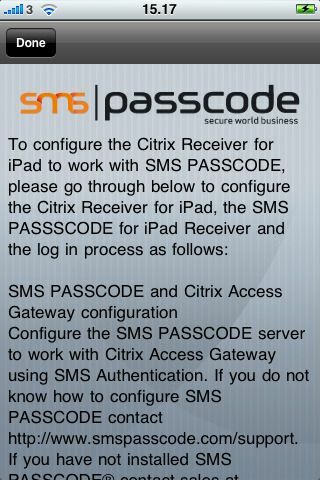 Yes its finally here, now you can login through Citrix via two factor authentication with SMS Passcode. 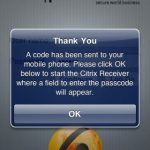 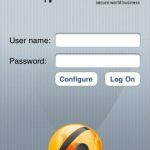 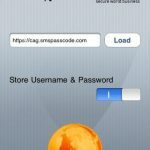 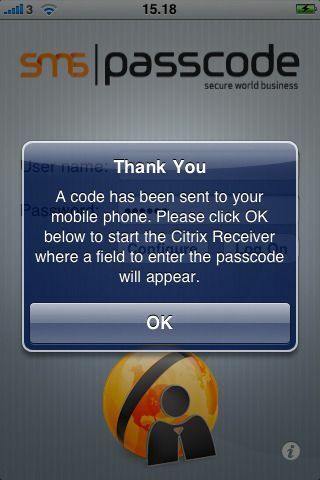 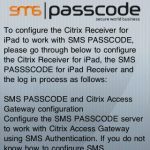 This SMS PASSCODE® application enable you to securely login with the Citrix Receiver for iPad application using SMS Authentication from SMS PASSCODE (www.smspasscode.com). 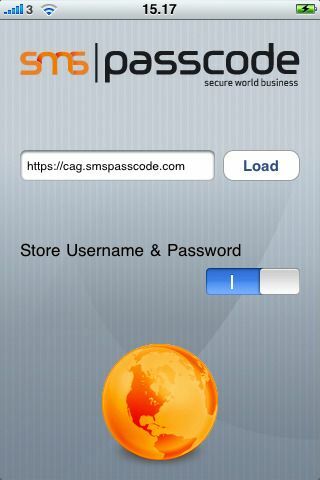 Download here from Apple App Store.